AND QUALITY CARE, WHEN YOU NEED IT MOST. SO YOU CAN SPEND MORE TIME ON PATIENT CARE. FOR THE BEST POSSIBLE CLINICAL OUTCOMES. ENHANCED OUTCOMES AND COST SAVINGS. We are a privately-owned New York based pharmacy, established to meet the growing demand for quality intake, management and dispensing complex medications. City Drugs has developed expertise and many deep and entrusted patient and provider relationships. We are licensed in multiple states throughout the country. High-touch and high-tech patient support services. City Drugs’ utmost priority is to enhance the patient journey during therapy and to deliver the best possible clinical outcomes. Providers and patients have come to rely on our highly experienced reimbursement specialists and clinicians to provide a comprehensive patient support services while maintaining complete HIPAA compliance. Our reimbursement team is well trained in the ever changing world of insurance company requirements and works with payers, providers and patients to navigate the prior authorization process. A full medication review is conducted upon onboarding all new patients and clinical assessments are completed at key points in therapy. 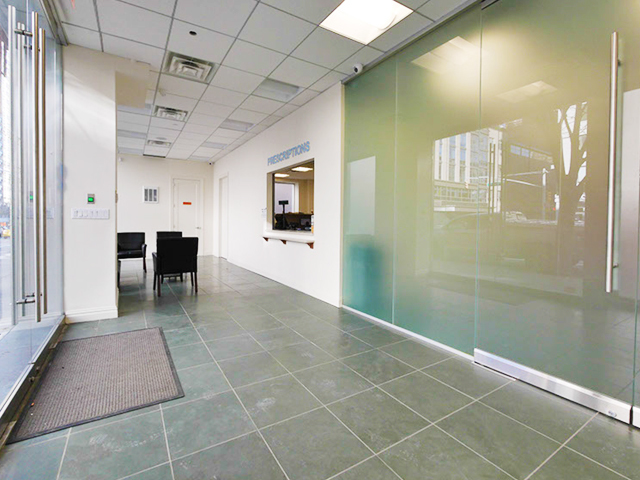 Local patients can meet with a clinician privately at our convenient Manhattan location, or our team of multi-lingual clinicians can be reached 24/7 in an emergency, via phone. Our reimbursement specialists provide additional support to patients who may not have adequate financial means or insurance coverage, including referrals to manufacturer sponsored and other patient assistance programs. Patients receive product and/or disease specific information from our vast array of resources to help educate them on their disease and therapy. One-on-one medication injection training is provided to patients with self-injectable medications, at no charge. Flexible delivery options include local pick up at our New York location or free delivery to the patient’s home or place of work. Patients receive refill reminder calls when it is time to refill their medication and may elect to initiate refills via our website or patient application. URAC is an independent, nonprofit organization, and a leader in promoting healthcare quality through its accreditation, education, and measurement programs. City Drugs has also earned The Joint Commission’s Gold Seal of Approval® for Home Care Accreditation by demonstrating continuous compliance with its performance standards. 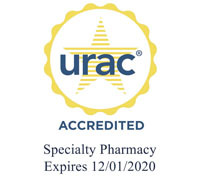 City Drugs is an ACHC Accredited Specialty Pharmacy. 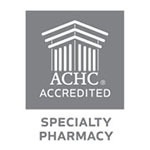 The ACHC is a recognized leader in pharmacy compliance. Through ACHC Accreditation, pharmacies are able to demonstrate their commitment to providing the highest-quality service through compliance with national regulations and industry best practices. City Drugs has received ACHC Distinction in Oncology Accreditation. This distinction recognizes organizations providing Oncology medications and has been developed in partnership with the Community Oncology Pharmacy Association (COPA) to elevate the practice of cancer treatment and enhance collaboration between physicians, patients and pharmacists.